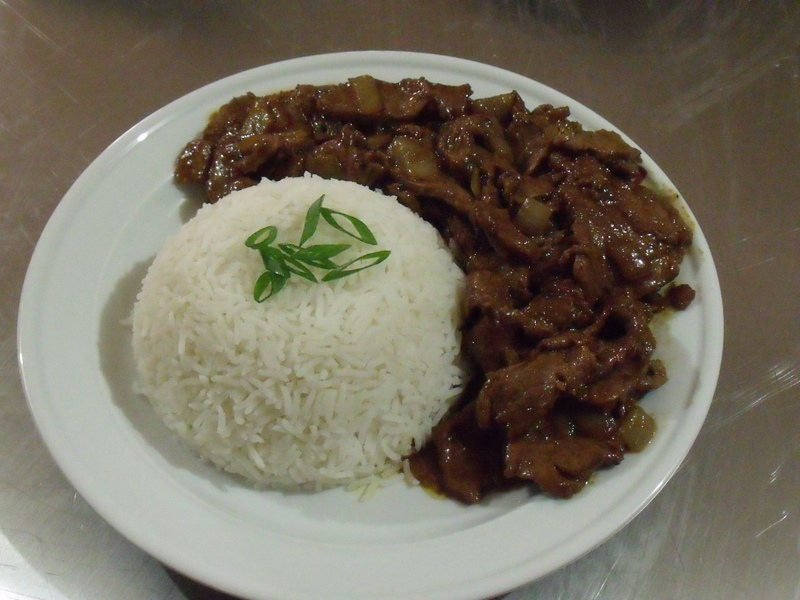 This is another recipe from the Australian Women’s Weekly Chinese Cooking Class Cookbook. Trim all fat and sinew from meat. Cut meat into 5mm (1/4 inch) slices. Gently pound each slice to flatten slightly. 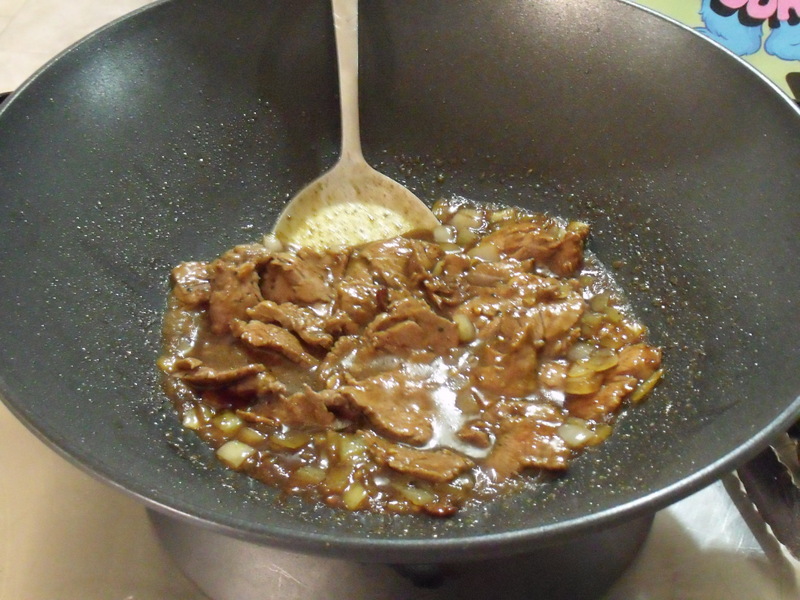 Put meat in bowl, add soy sauce, pepper, sesame oil, cornflour and water, mix well. Stand 20 mins. Heat oil in wok or pan, saute meat until brown, separating each piece as it goies into the wok, brown on both sides, remove from pan. Peel and roughly dice onion, add to pan with crushed garlic, saute gently until onion is transparent. Combine sate sauce, sherry, sugar, curry powder, salt, water and soy sauce. Add to onions in pan. Stir until boiling. Return beef to pan, cook until beef is tender, it should need only about a minute. Serve with boil or fried rice.